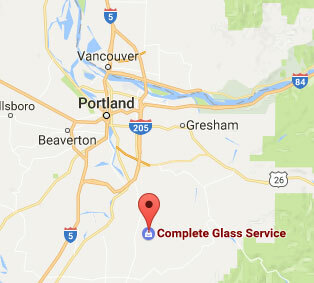 Have problems with glass in Portland? Glass is a fragile, yet essential material. It’s one of the few transparent and protective substances in the world, and the reason that it’s used for important components like windshields. So when you have broken or cracked glass in your car, you can’t afford to put off fixing it. Fortunately, Complete Glass Service works with glass in Portland to help keep you safe and make your vehicle look great again. Have a rock chip? While rock chips might seem like a minor issue, that’s not always the case. If the rock manages to break through the innermost membrane of your glass, it might not even be possible to fix! If it’s not too late, come to us before that happens, and we can repair instead of replace your glass. What if I need glass replacement? For larger damage, a repair might not be enough. If that’s the case, we’re more than happy to completely replace the affected glass. Unlike other repair companies, we will give you the best and most effective options to replacing your broken auto glass. We always try to ensure that your glass is restored to factory standards. Complete Glass Service goes the distance to get a quality job done and done right the first time around, saving you both time and money! Don’t go to just anyone for help with your glass in Portland. As a Sika certified company, we’ve proven that we do the job the right way. We work with any and all insurance companies that cover glass repair and replacement. And with over 20 years of experience, we’ve fixed thousands of windshields and always make sure it’s done right. Call us at (503) 632-5559 or contact us today, and we’ll help you get on your way!